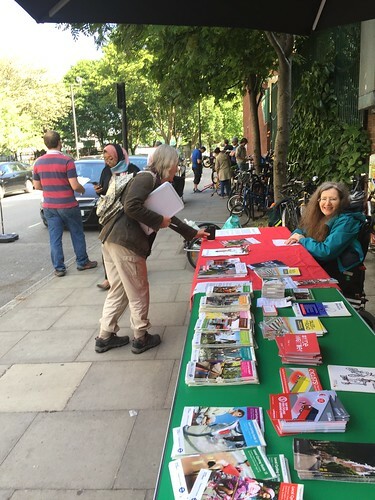 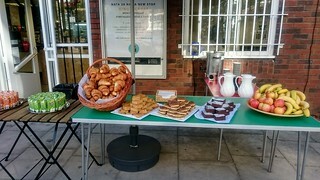 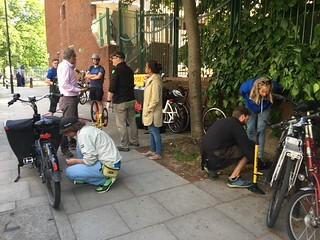 Our annual cyclists’ breakfast was held jointly with Camden council outside the Somers Town Community café (now called NATA28) in Ossulston Street. 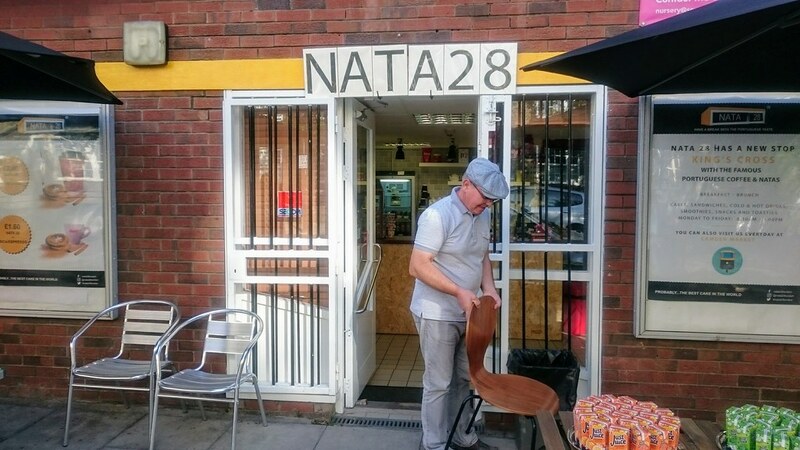 The café is named after Pastel de nata, a Portuguese egg tart pastry. 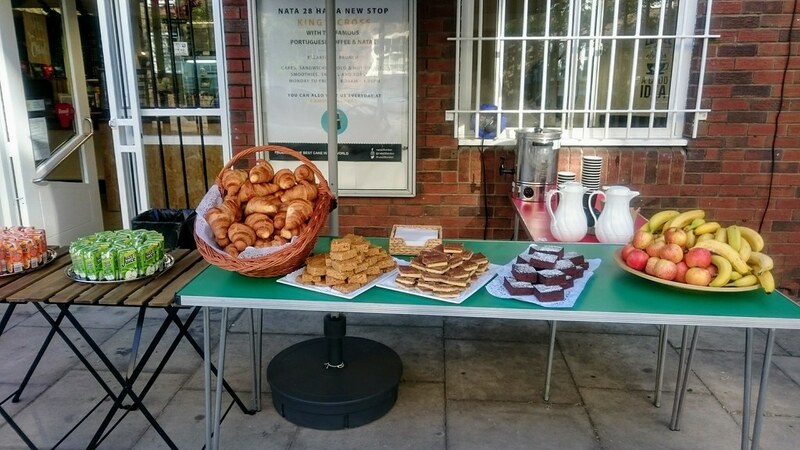 Isabel Sousa and her husband provided a beautiful selection of cold drinks, croissants, flapjacks, brownies, apples and bananas as well as hot drinks. 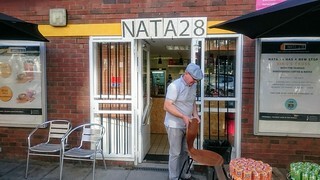 Thanks are due to Helen for organising the event which is in its 21st year in Ossulston Street and in the fifth year at the Cafe. 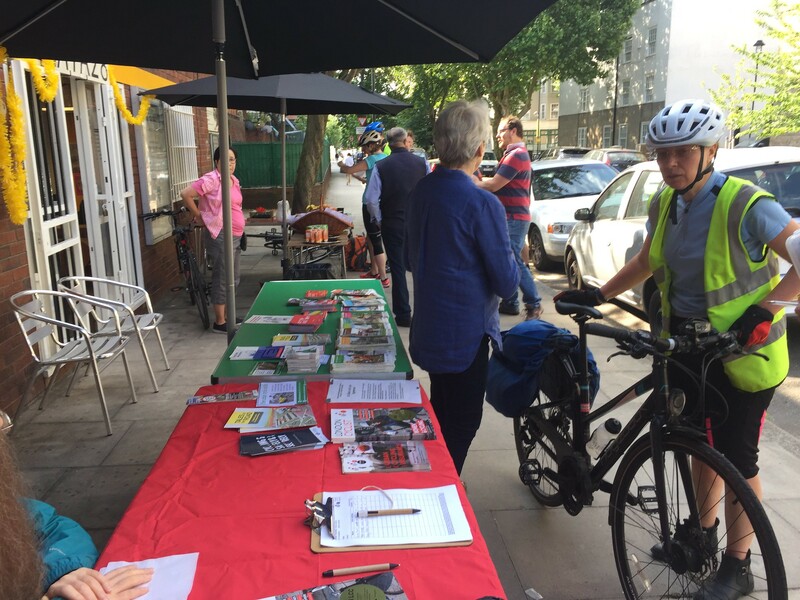 She not only negotiated with the café and arranged the Camden Council participation with Paul Davis but also assembled the volunteers and even brought in her own table. 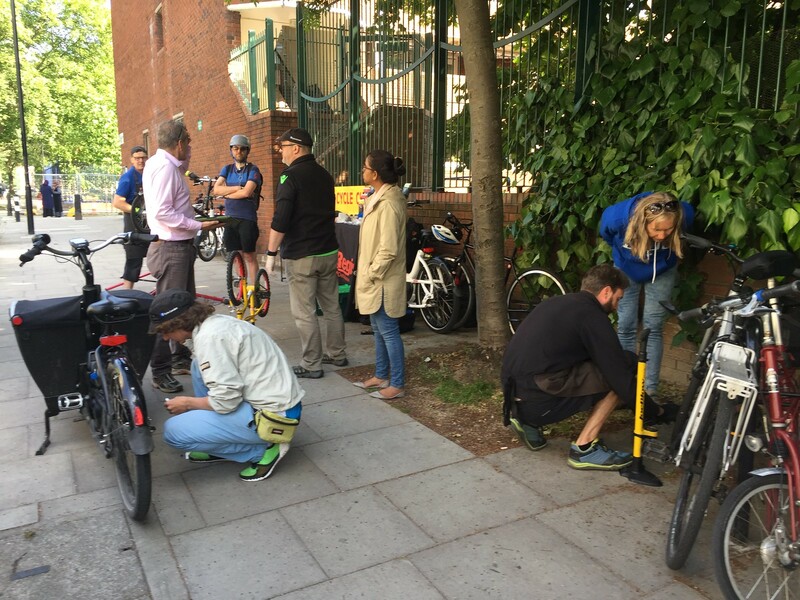 As in recent years, Paul brought the Camden equipment in an electric cargo bike that also doubles as a stall with maps on top. Paul Davis’ team consisted of Richard Riddle, Diego and Sam Parkes who were kept busy fixing bikes. 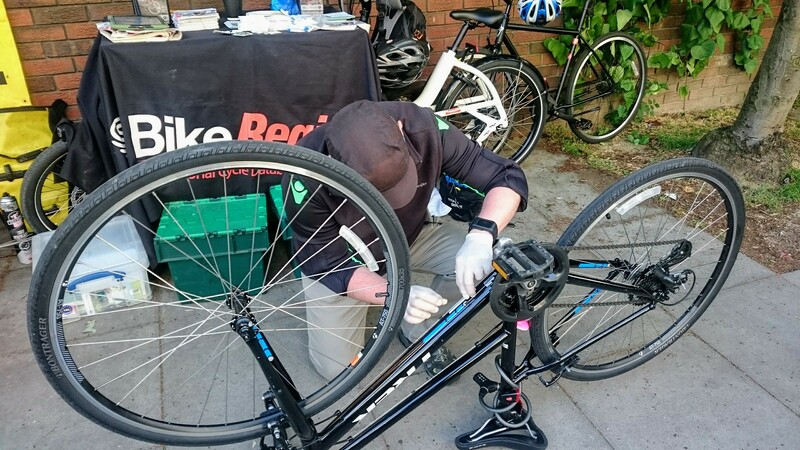 Paul himself took on the task of cycle security marking and registration onto BikeRegister’s online database. 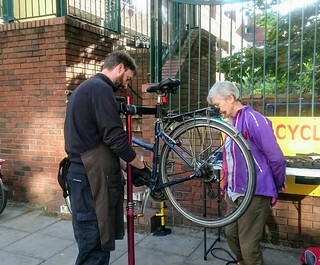 Helen’s team consisted of John, George, Jean, Berwyn, Sean, Susan and Mary. 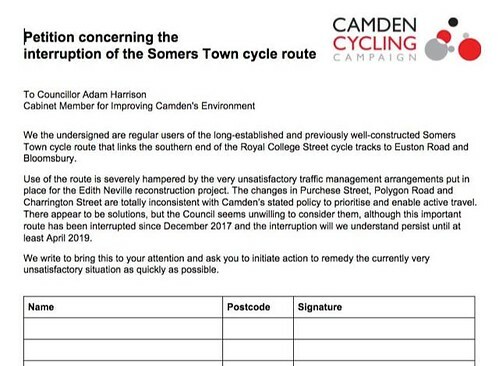 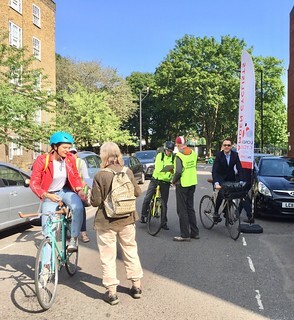 This year, as well as providing refreshments, maps, bike fixing and marking we asked people to sign a petition concerning the disruption of the Somers Town cycle route due to the building works at Edith Neville School. George composed the petition and designed the forms while several of the volunteers (Berwyn, Sean and Susan) did great work stopping cyclists and persuading them to sign it. 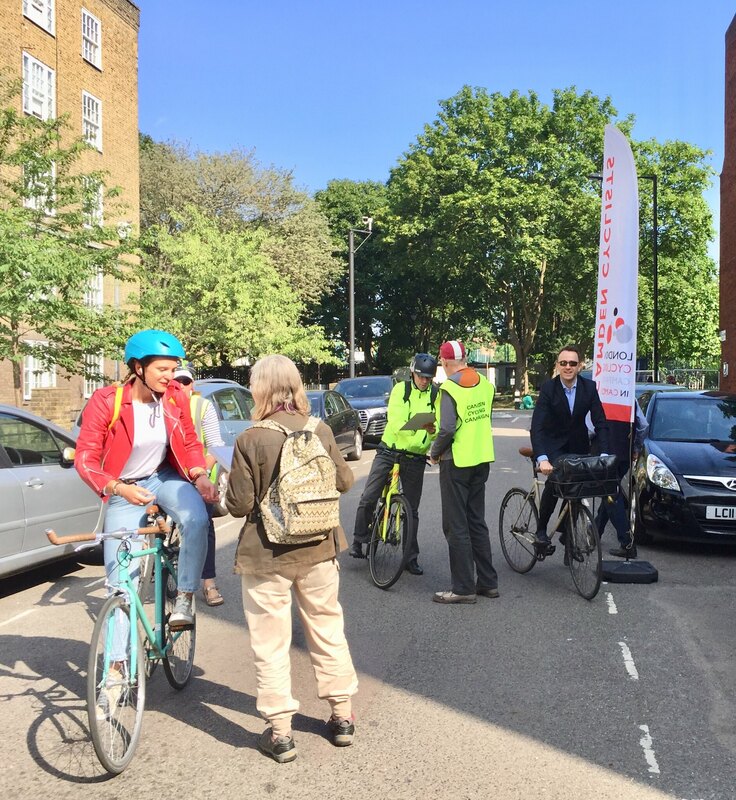 Almost everyone was keen to sign as they are very frustrated by the continuing disruption to the cycle route. 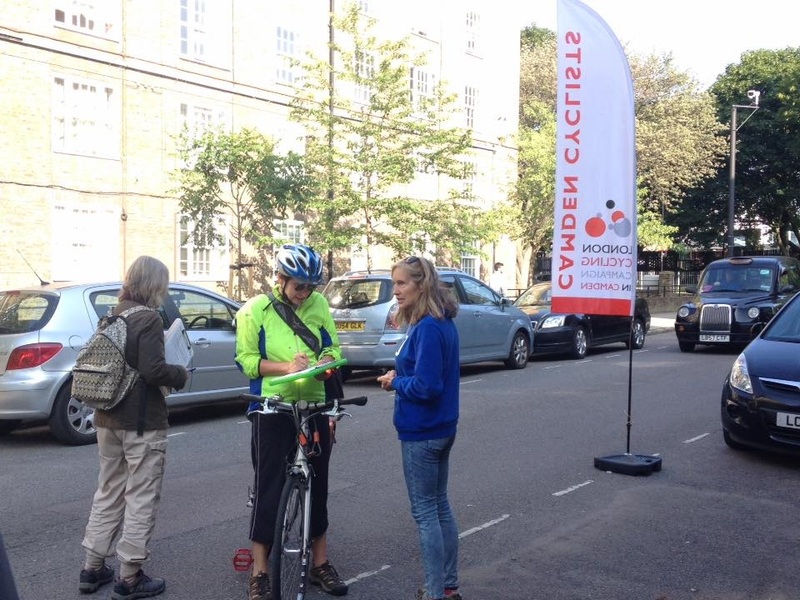 George took the signed sheets home and on counting them, found that we had 238 signatures. 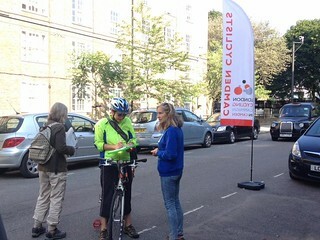 Later in the day, George, John and Jean met with Cllr Adam Harrison who accepted the petition from us.